NOW POST INSTAGRAM STORIES TO WHATSAPP? Now Instagram will allow you to post Stories on your Whatsapp. Last year in October, Instagram’s new upgrade brought Stories (a feature which allows you to post photos, videos together in a slideshow). Now Facebook is trying to involve Whatsapp in it as well. As in now, you will be able to post your Instagram stories directly on Whatsapp. The company is testing the feature with a small group of users. Under this feature, users will be able to post Instagram Stories as Whatsapp Status (a feature wherein you can put together photos, videos, GIFs with encryption, which disappears in 24 hours). It works same as publicly available code wherein Whatsapp makes it possible to integrate WhatsApp messaging with third-party apps. 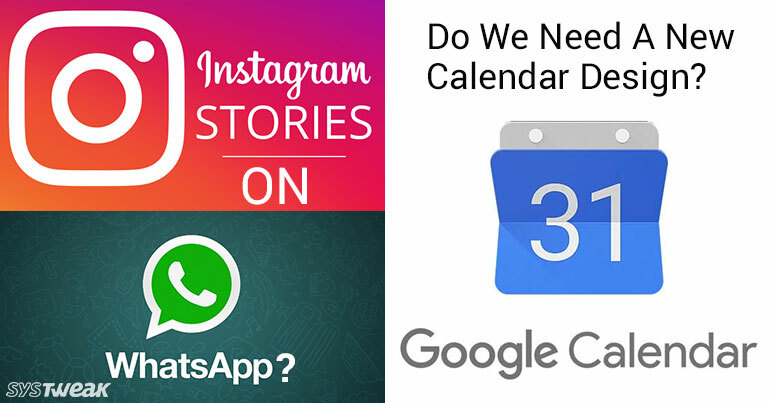 Users will get an option to share their stories with Whatsapp on Instagram sharing screen. However, to post it as Status on Whatsapp, they have to tap on Send. An Instagram Story when posted as a WhatsApp Status also becomes encrypted. Instagram’s spokesperson said, “We are always testing ways to improve the experience on Instagram and make it easier to share any moment with the people who matter to you.” Here is an example of the feature will look like when living. WHAT IS THE REASON FOR MAKING INSTAGRAM STORIES SHAREABLE? There seem to be a few reasons why Facebook seems to be interested in increasing Instagram stories. One of the major and obvious reasons is to make Instagram stories more popular and enhance more functionality. According to Facebook, until last November there were 300 million daily active users of Instagram Stories. Now extending the shareability to Whatsapp will generate more traffic on Stories mostly in countries where Whatsapp is popular. This is one of the ways of reaching the people in countries where Facebook and its messengers are outstripped. The second reason could be boosted up the usage of Whatsapp Status. As this is not the first time Facebook has done it, it has also attempted to boost Facebook’s Stories by enabling Instagram Story sharing to Facebook. Another reason for testing this feature is Facebook not only is working on alluring users to spend more time on specific apps and also want users to go from one Facebook-owned app to another. WHAT OTHER THINGS FACEBOOK HAS DONE TO POPULARIZE ITS APPS? This is not the first time Facebook has attempted to popularize apps. Last year in May, the company started testing cross-app notifications between Facebook, Messenger, and Instagram to alert users whenever they are mentioned in any of them. In December Facebook launched a feature, click-to-WhatsApp messaging button in Facebook ads, to monetize Whatsapp via Facebook. Now the latest step will also provide more hype to Whatsapp and Status feature. Whatsapp was acquired by Facebook in 2014 with a promise to let it function independently. A new upgrade will impose Google Calendar for all. Google announced a revamped look for Google Calendar for desktop last October. Well, not everyone was a fan of it. However, soon we won’t have a say in the matter as Google is about to upgrade your Calendar to the new design anyhow. The company also announced that if you are G suite owners and have chosen the Rapid Release schedule, you will get auto-upgraded starting January 8th. G suite owners who have chosen scheduled Release plan will be upgraded starting January 15th. Bitcoin: Digital Currency or Money for Criminals?